Bareilly Ki Barfi will save the box office from getting diabetes. It's mildly sweet box office performance has been resulted in Rs 13.37 crore in four days, reported trade analyst Taran Adarsh. The movie scored the highest single day collections on Sunday with over Rs 5 crore while box office figures for Monday have remained the least so far with Rs 1.85 crore. Friday and Saturday had brought in Rs 2.42 crore and 3.95 crore respectively. 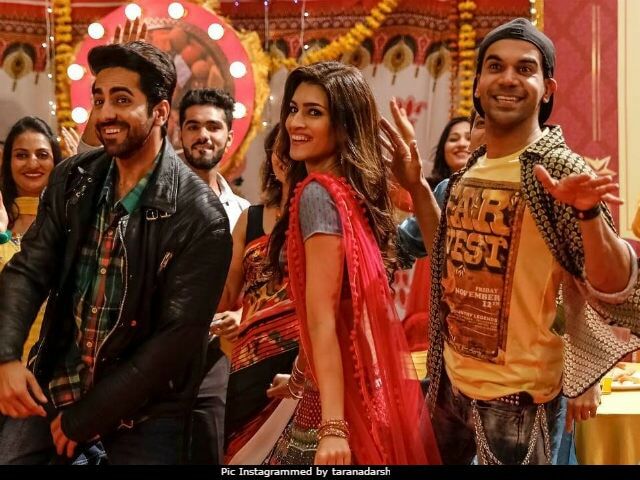 Bareilly Ki Barfi casts Kriti Sanon, Ayushmann Khurrana and Rajkummar Rao in a love triangle of sorts - a mesh which is only untangled in the climax of the film. Mr Adarsh had previously tweeted that Bareilly Ki Barfi must be consistent with its good scores even during weekends for a handsome collection figure. "Bareilly Ki Barfi springs a surprise, after starting at low levels on Fri morning... Has to maintain the steady pace on weekdays..." he had tweeted. Bareilly Ki Barfi released along with movies like Gurinder Chadha's period piece Partition: 1947 and VIP 2: Lalkar, starring Kajol and Dhanush. The Hindi version of VIP 2 opened to a cold response but the original one turned out to be a hit in the South. Bareilly Ki Barfi is Kriti Sanon's fourth Bollywood film, in which her performance has been reviewed to have made the sweet drama work. In his review of Bareilly Ki Barfi for NDTV, Saibal Chatterjee writes: "The burden of making Bareilly Ki Barfi work rests upon Kriti Sanon and she doesn't put a foot wrong." Bareilly Ki Barfi is Ashwiny Iyer Tiwari's second film - she helmed the critically acclaimed Nil Battey Sannata, which released last year.